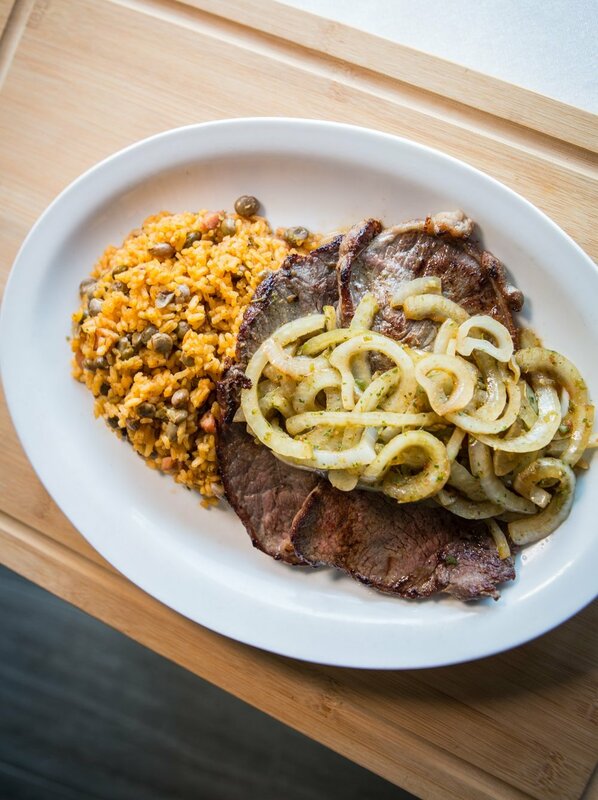 Bistec Encebollado (beefsteak with grilled onions) from WEPA! Soon you won’t have to travel far to eat like you are in Puerto Rico. WEPA, St. Petersburg’s first authentic Puerto Rican restaurant, opens to the public this Saturday March 16th in the Warehouse Arts District. 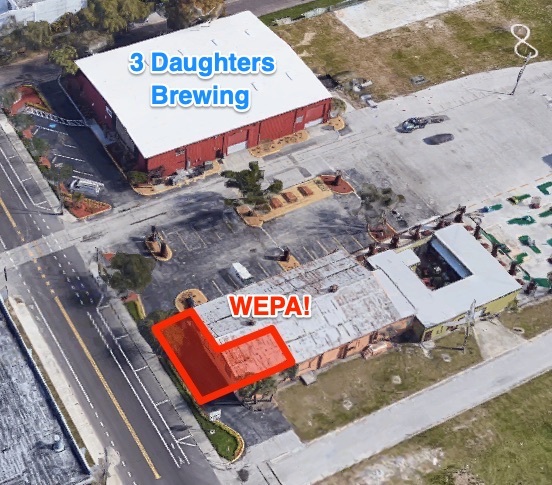 Located at 2149 3rd Ave South, WEPA is situated across the street from 3 Daughters Brewing. “WEPA” (pronounced weh-pah) is a Spanish colloquialism used to express excitement, similar to “Wow!” or “Oh Yeah!” And as customers take their first bite of food, owner Jean Totti hopes to hear this exclamation all day, every day. The menu at WEPA is inspired by Totti’s memories of growing up in San Juan, Puerto Rico, where he spent many afternoons by his mother’s, aunt’s and grandmother’s side in the kitchen. Many of the dishes available at WEPA come from hand-written recipes passed down over three generations. “Working with these recipes for months, we’ve selected a range of dishes that will represent our culinary history,” Totti adds. Tostones (mashed plantains) from WEPA! He also recalls memories of visiting the public market with his father to select fresh ingredients from the butcher and vegetable stands. “Today, we are drawn to ingredients from local markets, such as in the centuries old tradition of visiting Santurce’s Plaza del Mercado,” Totti states. Not everyone is familiar with Puerto Rican cuisine, but we are here to guide you! 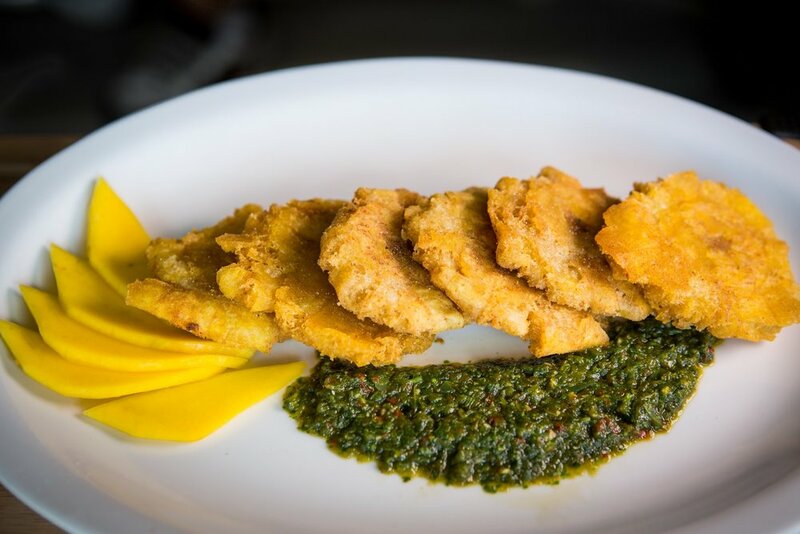 When you visit, start your meal off with the Tostones (mashed plantains). For your meal, Totti recommends trying the Bistec Encebollado (beefsteak with grilled onions) or Chicharrones de Pollo (fried chicken bites). Finally, end the experience with a serving of Flan de Caramelo (caramel flan). 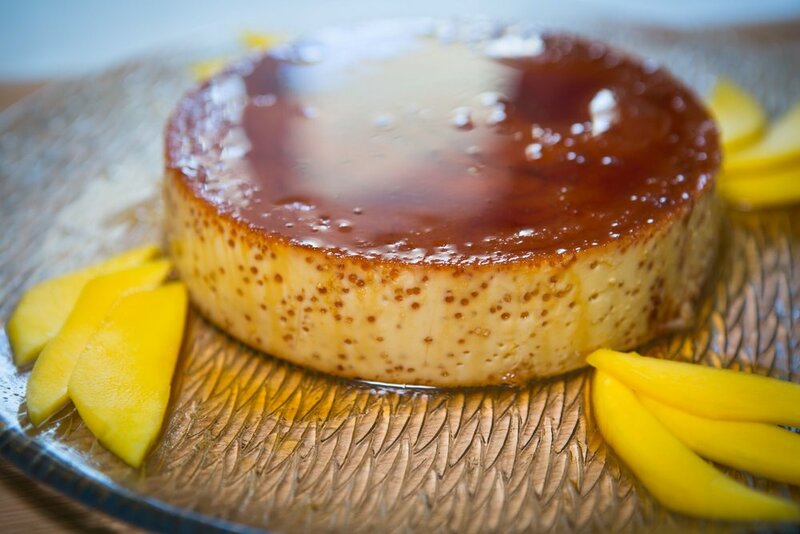 Flan de Caramelo (caramel flan) from WEPA! You don’t need to be downtown to experience St. Pete’s diverse and incredible culinary scene. As Downtown St. Pete continues to grow, we are starting to see an increasing number of new businesses moving into adjacent neighborhoods, such as the Warehouse Arts District. WEPA joins a slew of establishments set to open in the burgeoning Warehouse Arts District in the coming months. Next month, Daddy Kool Records will move from the 600 block of Central Avenue to 2430 Terminal Dr South, where they also plan host live music. American Freedom Distillery and their sister restaurant America Neat, located at 2232 5th Ave South, hope to open their doors sometime in the next six months. Wepa is Located at 2149 3rd Ave South, directly across the street from 3 Daughters Brewing. WEPA is located at 2149 4rd Ave South and opens to the public on Saturday March 16th. Lunch and dinner will be offered seven days a week from 11am to 9pm. For more information, go to their website and follow them on Facebook and Instagram.